Happy Spring! I can hardly believe that Easter is around the corner. I decided to make a few Easter tags to adorn some of the Easter baskets I’m going to give to friends. 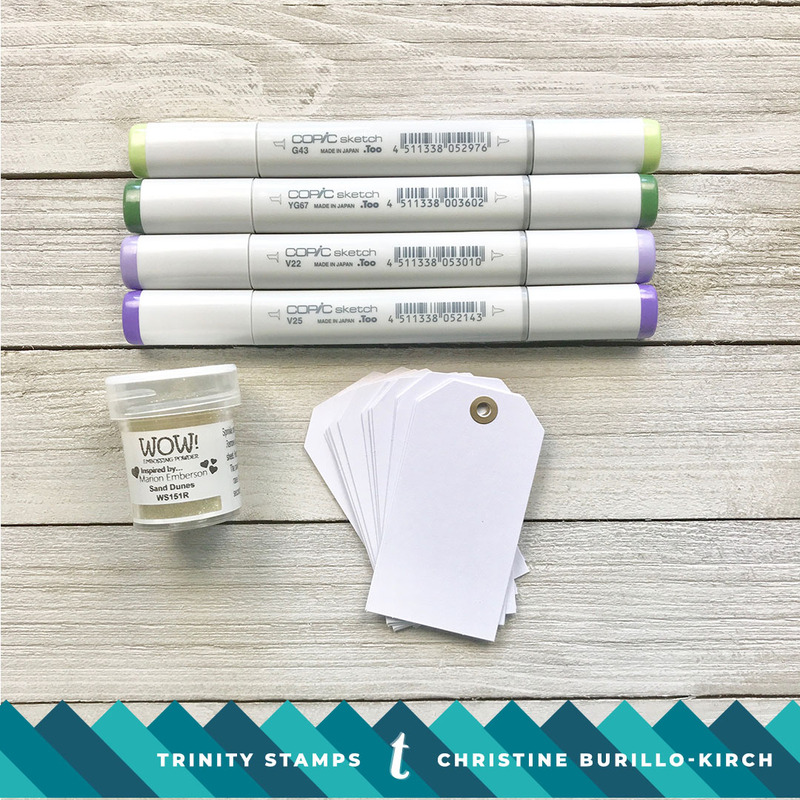 I have a large assortment of tag, large and small, white and colored. While many companies have tag dies, I chose to use some small white tags from my collection. 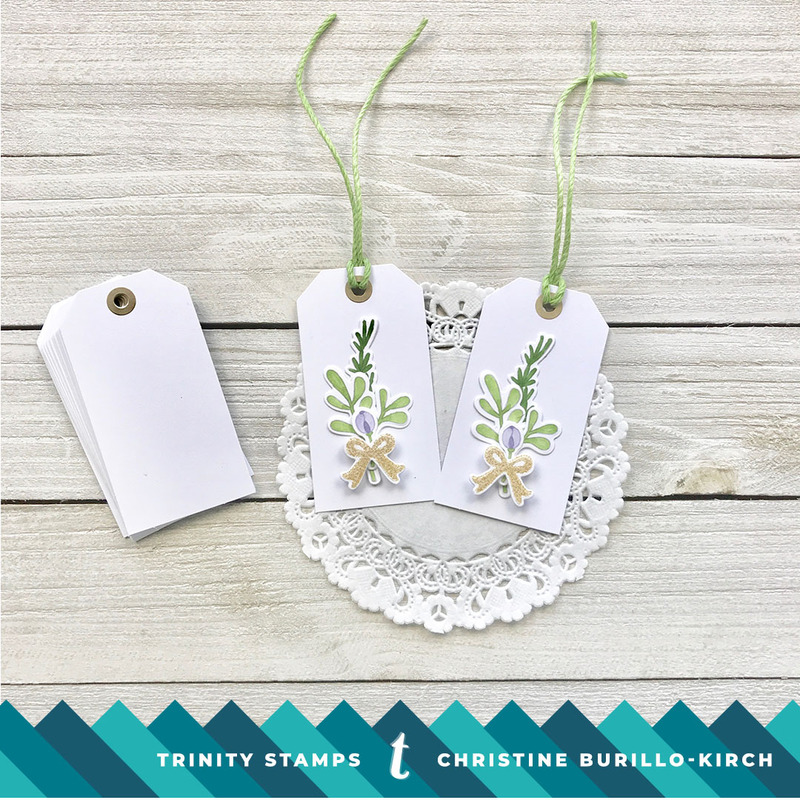 I’ll admit, I’m pretty obsessed with the Winter Botanical stamp and die set. I stamped several images in a very pale grey ink and die cut them. I stamped the bow in Versamark ink and heat embossed with Wow sand dunes embossing powder. I colored the other images with the copic markers G43, YG67, V22 and V25 as shown below. I decided against putting a sentiment on the tag because I thought the simple look was elegant. I’ll write Happy Easter on the back of the tag before I put it on an Easter basket.